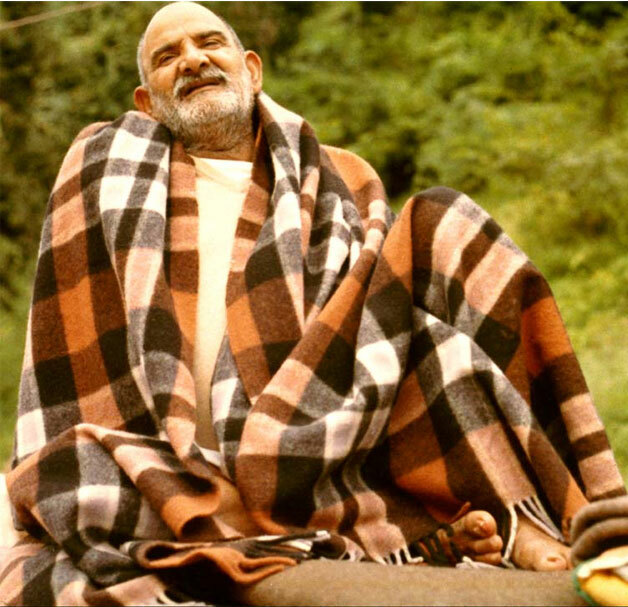 Neem Karoli Baba (Hindi: नीम करौली बाबा) or Neeb Karori Baba (Hindi: नीब करौरी बाबा) (1900 c. – September 11, 1973), also known to followers as Maharaj-ji, was a Hindu guru, mystic and devotee of the Hindu deity Hanuman. 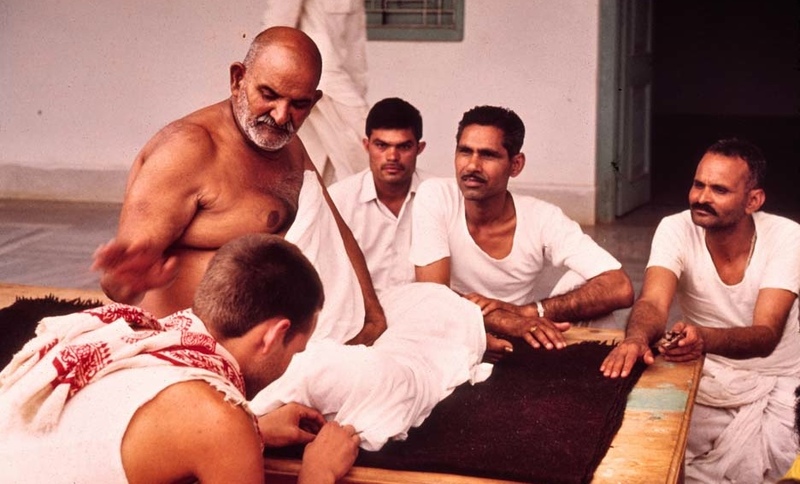 He is known outside India for being the guru of a number of Americans who travelled to India in the 1960s and 1970s, the most well-known being the spiritual teachers Ram Dass and Bhagavan Das, and the musicians Krishna Das and Jai Uttal, and Trevor Hall (Rampriya Das). His ashrams are in Kainchi,Vrindavan, Rishikesh, Shimla, Neeb Karori village near Khimasepur in Farrukhabad, Bhumiadhar, Hanuman Gadi, Lucknow, Delhi in India and in Taos, New Mexico, USA. Looking for a local Durham Group, look to Jon Seskevich for Kirtan, Satsang and Ram Das meetups.